“During the twenty years it fought the Vietnamese, the United States never understood the people or the culture of Vietnam. South Vietnam was to be remade in America’s image. Although writing is not our advantage, we try to write this book out of our responsibility toward 90 million of Vietnamese, our duty to the Truth, and our pride to follow our ancestors’ teachings. We ask you to forgive our lack of writing skills and be content with this sentiment: “This is a good book to read, not because of its literary value but because of the truth revealed in it”. Due to the overwhelming load of facts, stretched along almost a century and spreaded over the country and abroad, and due to our limited time, we understand that, while some of those facts have been fully analyzed, some others have not. Please bear with them and help us to analyze further. However, there is one thing we are certain of: Our assessments are based only on accurate facts. Ralph Waldo Emerson once said: “Truth is the property of no individual but is the treasure of all men”. Burying the little infants under the disastrous tunnel. The story-making of the Vietnamese Communists also serves another purpose, that is to hide their evil criminal Mafia activities! They took briberies from those former low-level South Vietnam government staffs and made them “super perfect spies”! Being promoted as Generals and Heroes with all kind of medals, those fake spies happily accepted fallacious titles attributed to them – instead of having to go to prison or “re-education” camps. An obvious example was Phạm Xuân Ẩn, whose true identity was a New York Times reporter. For some reason he could not escape from Vietnam in April 1975 and had to face a dilemma: either going to prison (or “re-education camp”) and being tortured – possibly to death, or following order from the communist government to become a Brigadier General and a decorated hero. He chose the second option. Contrary to his expectations, he never became a real general and hero, only a fake one. The government continuously monitored and treated him like a house arrest prisoner. As a matter of fact, having previously lived in a free country that gave him an education to become reporter of a big magazine, Ẩn soon realized he was trapped and would have to live a zombie life. He wanted to expose everything to public, but whenever he thought about his wife being kept hostage by the regime, he backed off. Also, the strict surveillance over Ẩn’s activities did not give him any opportunity to speak out, but if he had a chance he would follow the instinct of a journalist and do it. That chance came when the communist government had to let him see a foreigner, Robert Shaplen, a long time reporter from New York Times, who requested a private meeting without being observed by the secret agency. Apparently eavesdropping devices were installed. No one knew what secrets Ẩn shared with Shaplen at their private meeting, but less than a month after bidding farewell with Ẩn to come home in the U.S., Shaplen had a heart attack. His heart stopped! Around the world, nobody suspected. The Americans never knew the truth. That was a smooth story. And when the Vietnamese Communists realized that it would be dangerous to let “super spies” like Phạm Xuân Ẩn, Vũ Ngọc Nhạ, Ba Quốc, etc… survive after their roles were accomplished, they all died one by one. That will remain a mystery forever! Who will suffer the same fate as reporter Robert Shaplen? Who will suffer the same fate as Phạm Xuân Ẩn, Vũ Ngọc Nhạ, Ba Quốc…? If that kind of mystery is not exposed, there will be many, many more reporters doing the same things, i.e. writing about those “super spies” and their Mafia bosses who orchestrated the spy games. If, by any chance, some other reporters find out other big secrets, what fate will fall on them? And there are so many “big secrets” waiting to be revealed! 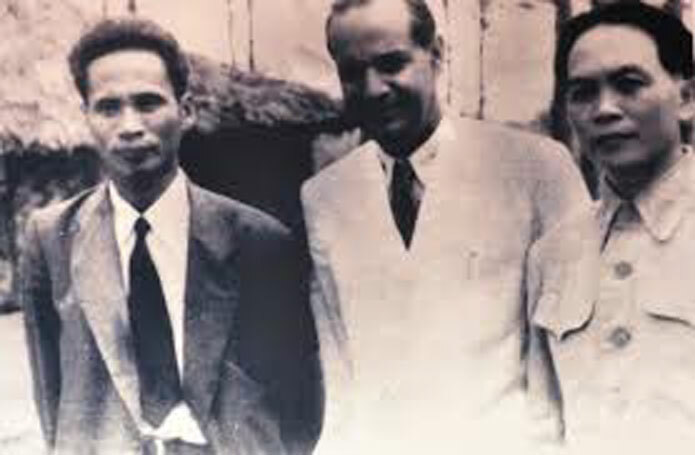 What’s more dangerous, the Communists also succeeded in deceiving some foreign respected scholars who unintentionally supported the Vietnamese communist regime’s dirty proganda by writing such books as “The Perfect Spy” (by Larry Berman, first published in 2007, reprinted in 2013), or “Z.21 – The Spy Who Loved US” by reporter Thomas A. Bass). Most importantly, I have discovered this “once-in-a-lifetime” mystery case because, as mentioned above, I have freed myself from being “brainwashed” by the Vietnamese Communists. It means: all documents I use were extracted from the orthodox documents published by the Vietnamese Communist Party, then were processed by “piecing together of tiny items” so they will “build up the picture”, then finally my readers will be “commanders to plan”. About the structure of this book: Documents published by the Vietnamese Communist Party can be found in “Part II. Research Documents”, or titles of the extracted pages – so my readers can easily refer to. (Please follow the links to the resources and remember to download them before the communist government takes them down). Paragraphs of special interest can be found in “Part I. Proofs and Analyzes”, which were extracted from the documents right below, including analyzes and logical assessments of each event. The structure of the mystery case is divided into 4 parts, with 12 chapters. Now let’s start our research of this “once-in-a-lifetime” mystery case! Note: For ease of reference, you should paging each chapter in the book: “perfect spy”. Corresponding to the number of pages that we have identified. Robert Shaplen: A New York Time Reporter Was Killed by Vietnamese Communist. EPISODE 2. THE LITTLE LITTLE VIETNAM HAD A BIG BIG SPY. EPISODE 4. THE RECRUITMENT PROCESS IN THE COMMUNIST – STORY IS NOT SO! EPISODE 5. AN – SUPER SPY INDISCRIMINATE RELATIONS WITHOUT …EXPOSED! OR THE STORY OF THE BLIND CIA! EPISODE 7. THE COMMUNIST ACTED RIGHT AT THE BEGINNING OR JUST RECENTLY? OR THE STORY OF LIES, DECEPTION – THE WAY TO GIVE THE FALSE STORIES. EPISODE 8. THE STILL OPEN QUESTIONS – A COUNTRY CREATED BY SALVADOR DALI. EPISODE 9. THE STORY … UNREAL. EPISODE 10. THE STORY … LIE! Chapter 3. The communist bites the hand that feeds? No! The truth is something more than that! EPISODE 11. ACHIEVEMENTS AND BE OBSERVED – OR THE STORY OF A REGIME’S HERO BECOME CRIMINAL PRISONER WITHOUT PAROLE. EPISODE 12. ON FEBRUARY ẢN STILL MET WITH THE POLITICAL BUREAU BUT: … ON APRIL ẢN….. ESCAPED WITH HIS FAMILY! EPISODE 13. THE KING FELT GOOD AND SATISFIED. EPISODE 14. AN TO STUDY ABROAD: “BUY AN’S AIRPLANE TICKET TO AMERICA “, THE COMMUNIST PARTY PAID – TUITION FEES, FINANCED BY THE CIA. But… back to Saigon – Ẩn: scared. Chapter 4. An not communists! EPISODE 16. AN NOT COMMUNISTS! EPISODE 18. THE AMERICANS HAVE BEEN DECEIVED. EPISODE 19. BETWEEN “TO BECOME A BRIGADIER AND A HERO” OR “GOING TO JAIL AND DIE THERE” PICK ONE OF THEM. EPISODE 20. COMMUNIST REGIME CREATED ẨN AND THE DEATH OF A PLAYER WHO FINISHED HIS ROLE. Part II. “Super communist spies” who are they? Chapter 6. “Super communist spies” who are they? EPISODE 21. ẨN GAVE THE UNTRUTHFUL STORIES ABOUT PHAM NGOC THAO – BA QUOC ALSO GAVE THE UNTRUTHFUL STORIES. EPISODE 22. AN – PERFECT SPY WITH 4 “COURIER” HAD CARELESS RELATIONSHIP WITHOUT …BEING UNCOVERED! AND 4 “COURIER OF AN” ALSO GAVE THE UNTRUTHFUL STORIES. EPISODE 23. ẨN GAVE THE UNTRUTHFUL STORIES – TU CANG ALSO GAVE THE UNTRUTHFUL STORIES. EPISODE 24. MUOI HUONG ALSO INDISCRIMINATE RELATIONS WITHOUT …EXPOSED! OR THE STORY OF THE BLIND CIA! EPISODE 25. VU NGOC NHA ALSO TOLD LIES TOO = PHẠM XUÂN ẨN! EPISODE 26. FARCE! “THE COMMUNIST SUPER SPY” INDISCRIMINATE RELATIONS WITHOUT …EXPOSED! OR THE STORY OF THE BLIND CIA! Chapter 7. Told lies too: “The attacks on the Presidential Palace” and “hit US Embassy”. EPISODE 27. COMMUNIST VIETNAM AND TU CANG GAVE THE UNTRUTHFUL STORIES: “THE ATTACKS ON THE PRESIDENTIAL PALACE”. EPISODE 29: “THE COMMUNIST SUPER SPIES” ARE SUSPECTED = PHAM XUAN AN. EPISODE 30. “BE CONTROLLED” UNTIL DEATH – GENERAL STORY OF “THE COMMUNIST SUPER SPY”. EPISODE 31. PHAM NGOC THAO NOT COMMUNISTS! 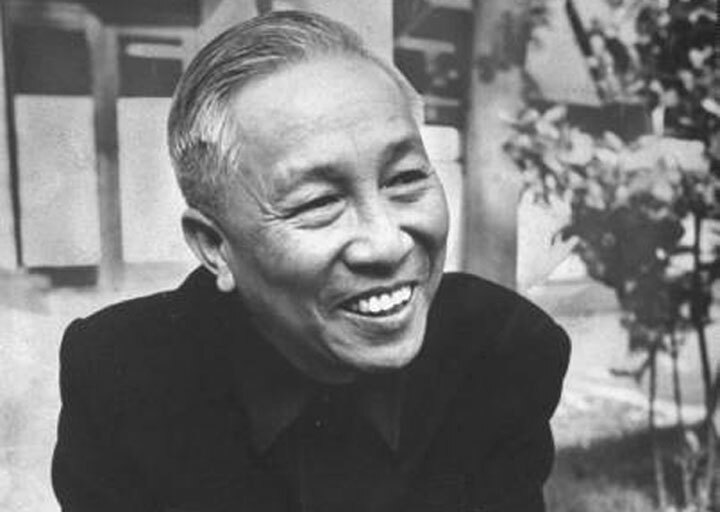 PHAM NGOC THAO KILLED BY THE MAFIA HO CHI MINH. EPISODE 32. 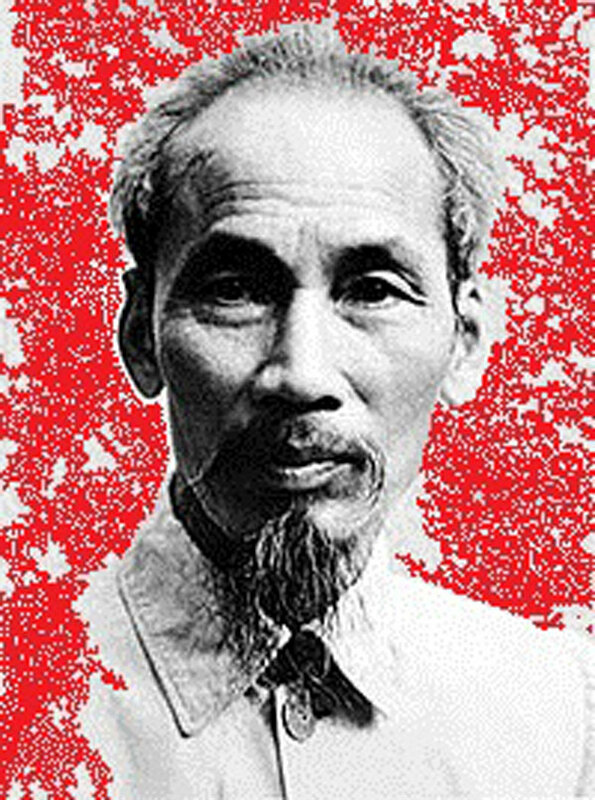 TRUE STORY “SUPER SPY – HOMETOWN.” – ALL FAMILY “NGUYEN AI QUOC COMMUNIST” WAS KILLED OR POISONED – THEN THE DEVIL “VISITING THE MOTHERLAND”. Chapter 9. Pham Xuan An … is based on the life of the character Quan – Novel by Nguyen Khai! And the completion of the play – starring must die! EPISODE 33. PHAM XUAN AN … IS BASED ON THE LIFE OF THE CHARACTER QUAN – NOVEL BY NGUYEN KHAI! EPISODE 34. THE “SUPER SPY COMMUNIST” FEATURE STORYTELLING AS PHAM XUAN AN. Was Killed by Vietnamese Communist. EPISODE 36. EDWARD LANSDALE: “AN WAS ANYTHING MORE THAN A QUICK CHANGE ARTIST WHO HAD FLIPPED TO THE WINNING SIDE AT THE LAST MINUTE.”! EPISODE 37. A DEADLY QUESTION OR A STORY: A PRIVATE MEETING WITH ẨN – SIR BOP SHAPLEN – A LONG TIME REPORTER OF TIME. – THE DEATH OF A CLOSE FRIEND OF ẨN – WITHOUT FBI AND CIA SUSPICIONS. EPISODE 38. WANT TO KEEP THE SECRET, THEY MUST “KILL PEOPLE DEAR”! “An’s closest professional relationship was with Bob Shaplen”! Chapter 11. Bop Shaplen’s thyroid cancer did not cause his death but a high dose of radiation killed him. Part IV. Epilogue. The origin story “super spy” – The secrets must be unveiled.